Home | Blog | blog | Which Tree Loppers Do You Need for Your Garden Clearance? With summertime coming to the end and autumn just around the corner, you might find yourself with an unruly garden, meaning that the time has come for some garden clearance. If you are looking to do a little garden clearance, then you are probably in the market for a new pair of tree loppers. However, with the market being so saturated, it can be difficult to find the right tree loppers for you. If you are currently shopping around for some new tree loppers, we want to help you figure out where a good place to start is. Most importantly, you want to look for good, strong loppers with a comfortable grip. The length and size of tree lopper that you want to look for depends on the type of plants and trees that you have on your property. For a good place to start, check out our list of what to look for in tree loppers so that you can start working on your garden clearance and have a beautiful garden again in no time. If you have a lot of tough, thick shrubs and trees on your property then you need a strong pair of tree loppers to help you with your garden clearance. This means that just any old tree lopper simply won’t do. It’s time to throw out your rusty old tree loppers because they just won’t do the trick anymore. Here are some of the strongest tree loppers on the market right now, and the benefits that each one of them has. The Fiskars 28-inch Bypass Lopper is arguably one of the best on the market at the moment. The blades are strong and they stay sharp. They make it easy to cut through living branches and twigs, which can be the most difficult task in garden clearance. It can cut branches up to 1.5 inches, making it one of the strongest loppers on the market, plus it comes with a lifetime warranty. Another strong tree lopper is the Tabor Tools GL18 20-Inch Bypass Lopper. These loppers can cut through branches up to 1 inch in diameter. The cuts on this are clean and easy, taking the struggle out of garden clearance. When you have a large garden clearance project ahead of you, comfort is important. Loppers that are made without ergonomics in mind aren’t practical or useful to you. As much as it might seem like a second thought, you must make sure that the lopper that you purchase is comfortable for you and your grip. This means that you must consider the size of your hands and the strength of your grip when you are buying a new tree lopper. You’ll regret it if you don’t pick out the right pair and you get a hand cramp! For women and people with smaller hands, the Gardenite Power Drive – 28 Inch Heavy Duty Lopper is the perfect size, weight, and grip. It is also great for those who suffer from carpal tunnel or arthritis. This lightweight topper has “ratchet” shears that you can easily cut through thick branches with. The ratchet mechanism on them takes a lot of the strain of cutting through twigs and branches off of the user and allows the lopper to do the work instead. The Tabor Tools GL18 20-Inch Bypass Lopper is also great when it comes to their ergonomic handle. This lopper is a little more heavy duty than the Gardenite, but that doesn’t mean that it has to be uncomfortable. The handles of the Tabor lopper is designed to make the arduous task of garden clearance that much more comfortable. This lopper also offers optimum grip so that you don’t cause injury or accidents by the lopper sliding out of your hands. The right tree lopper for your garden clearance is out there, you just have to shop around a little for it. 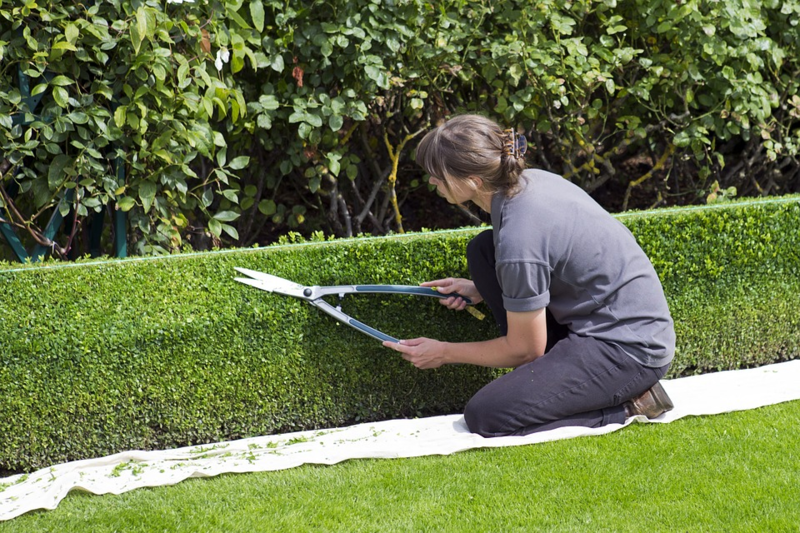 However, if you find the task of clearing your garden becomes too much, you can always employ the help of a professional. For those in Perth, Perth Arbor Services can help with garden clearance and making your garden beautiful in no time!